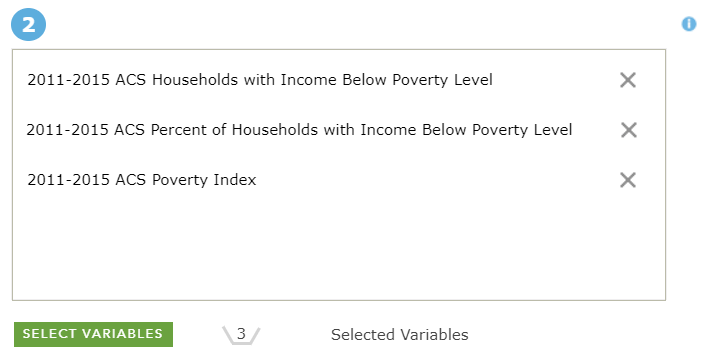 Did you know that you can add demographics to your existing geographical datasets? 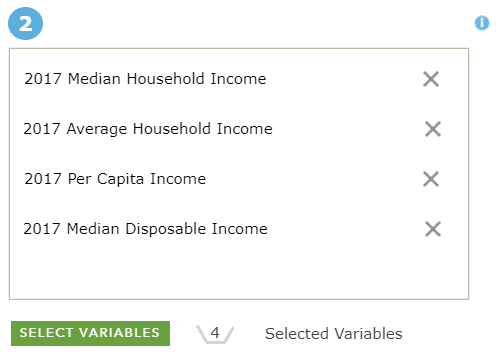 Whether you have points, tables, lines, or polygons, demographic data can add value to your analyses. 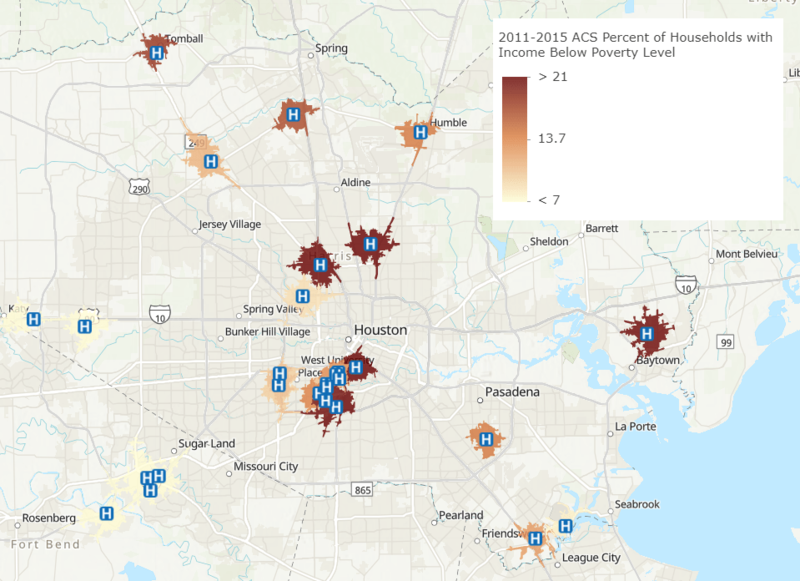 The blog, “Make a Demographic Map in 5 Minutes”, introduced the basics for using the Enrich Layer tool in ArcGIS Online, and introduced the interface of the Data Browser. Now, we will see additional ways this technique can be applied, using the same underlying process, and still only taking minutes to complete. 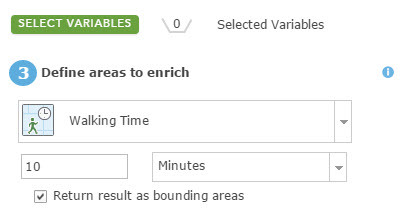 Each method produces a new layer within your “My Content” which can be used throughout the ArcGIS platform. To get started, publish your layer to ArcGIS Online using your organizational account. Scenario: You have point data for hospitals in your area. You need to know how many low-income households are within a 5-minute drive for each of these hospitals. Scenario: You have linear data for the LA Marathon route. You need to know how many retail businesses are within a mile of that route so that you can assess the impact of this event. 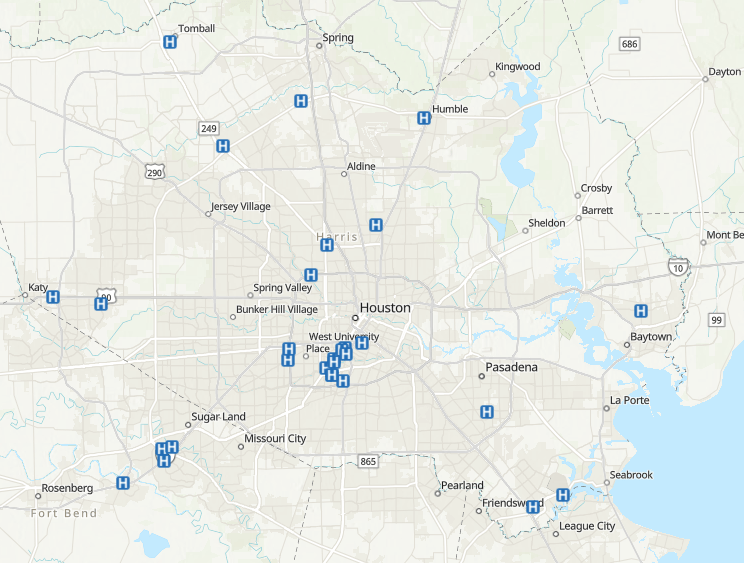 Scenario: You have a table of possible locations for a new grocery store. 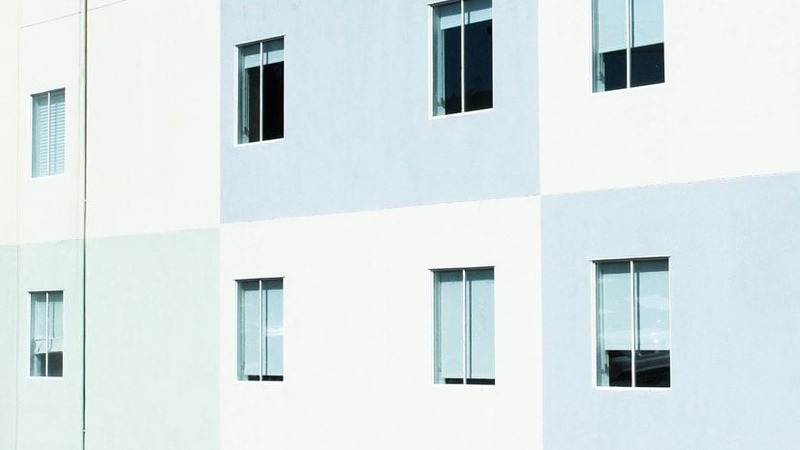 You need to know information about the income of the people living near these addresses so that you can select an ideal location. 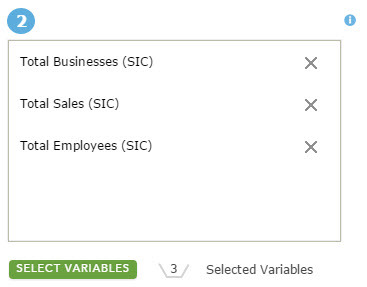 Convert your table to csv format if it is not already. It needs to include a field with geographic reference in order to be added to the map. 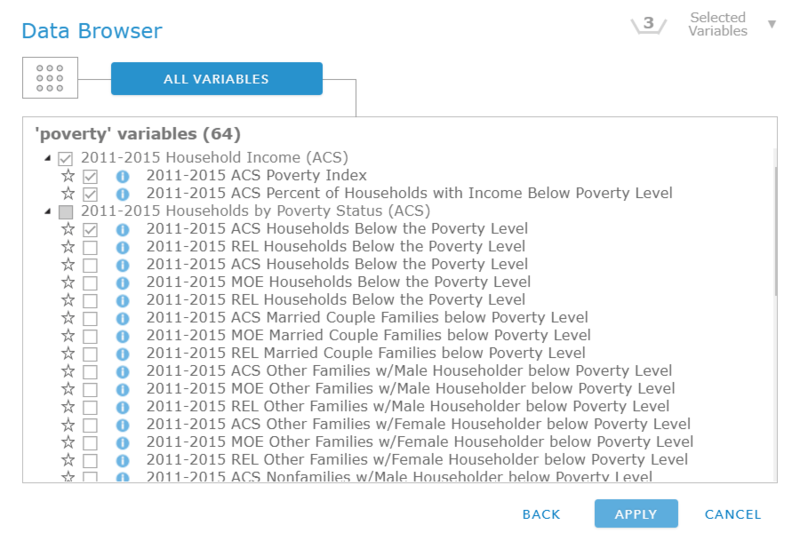 Drag/drop your csv file straight into the map within ArcGIS Online. The locations will be geocoded onto the map based on your geographic field. 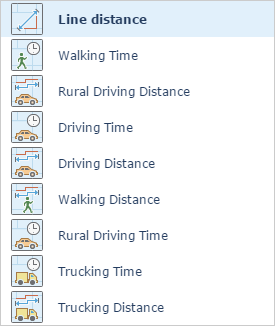 Tip: Need your data in ArcMap? Once you enrich your data layer, you can open it in ArcMap using different data formats! 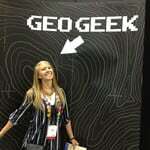 I am a Cartographic Product Engineer on the Living Atlas team at Esri. 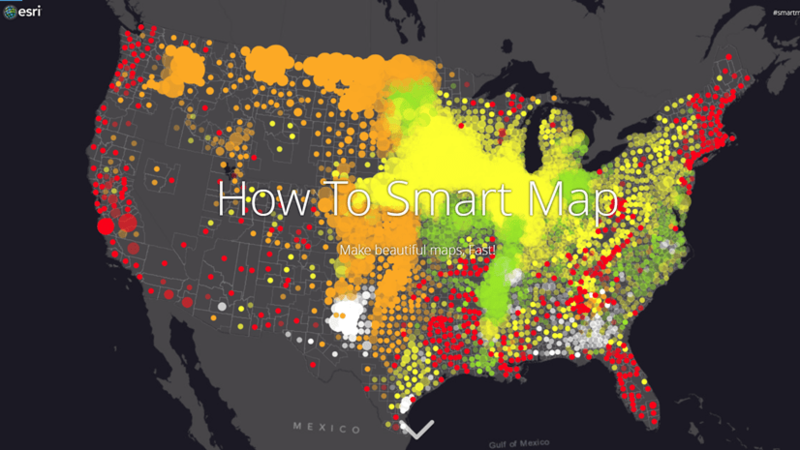 I work to create clear and concise stories about demographic data using cartography. 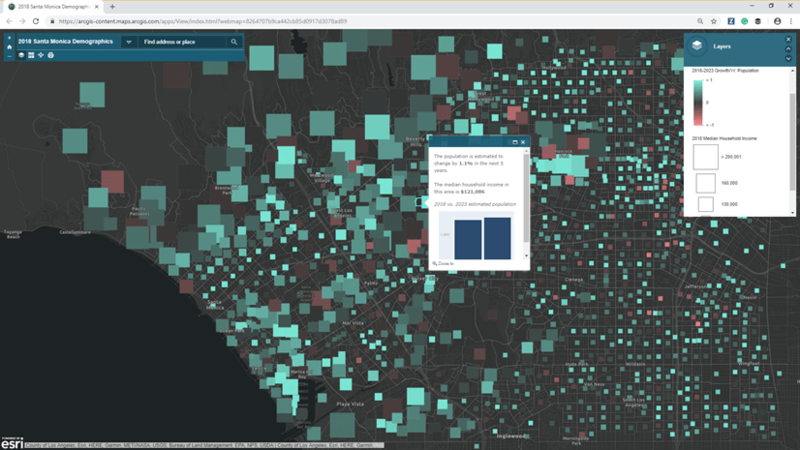 I also build data layers and tutorials to help others create their own map masterpieces. No data? No problem. 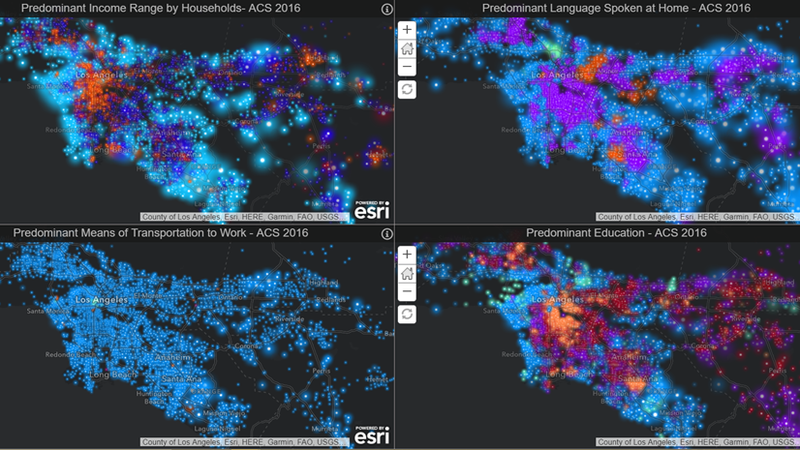 You can use Esri's demographics to add valuable context to your GIS analyses.